Rockfon are renowned for developing high quality stone wool acoustic ceiling and wall solutions. They are proud to exhibit their latest innovative, new generation Rockfon Mono Acoustic elegant render, on Stand 78 at the 2018 Architect@Work show, London in January. 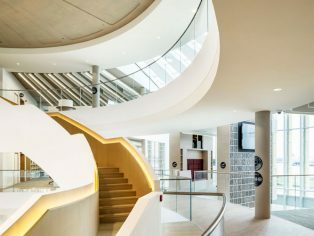 Unlike traditional monolithic, flat surfaces, Rockfon Mono Acoustic controls reverberation by offering outstanding Class A sound absorption, thanks to its stone wool core. 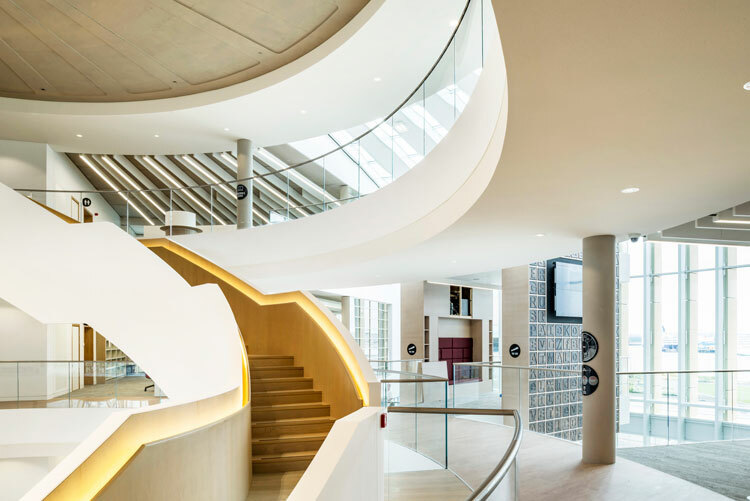 This is one of the reasons it is a preferred solution for leading architects as a contemporary, high performance, versatile alternative to traditional gypsum and plaster. The addition of marble powder helps create the smoother, whiter, more refined acoustic surface that will enhance any interior. Rockfon Mono Acoustic offers true versatility. It can be installed on sloping, flat or curved surfaces, either in a suspension grid or mounted directly on existing ceilings or walls. Its timeless, monolithic look is suitable for renovation projects as it complements the character and original architecture of historical buildings. For new builds, it can be installed in smaller rooms or large atriums as seamless spans, ceiling islands and walls. The monolithic surface is extremely bright, offering 99 per cent light diffusion and 87 per cent light reflection. This ensures a uniform spread of natural light, reducing the need for artificial light, cutting energy costs. It can also be specified in any colour, offering true creative freedom. 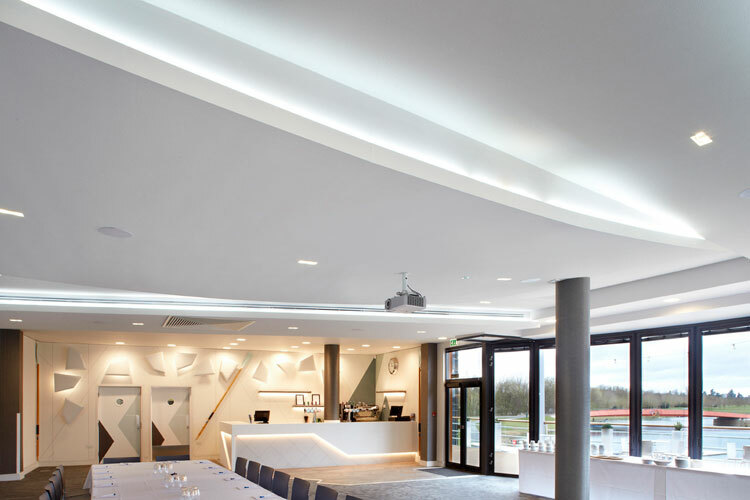 In the Boathouse function room at world-class sporting and events venue Dorney Lake, S&Y Architects specified Rockfon Mono Acoustic to create a unique ‘wave’ ceiling design. The system allows for easy incorporation of light wells, lighting, air conditioning, ventilation systems and inspection hatches, and offers Class A2 fire protection. The tiles are dimensionally stable at up to 100% relative humidity and can be installed in temperatures ranging from 0°C to 40°C, allowing installation before windows are fully sealed. Rockfon provides technical support and training courses for certified installers to ensure a high-quality finish and performance. All Rockfon products are backed with a 15-year guarantee and are fully recyclable. The Rockfon team have unrivalled expertise and knowledge when it comes to finding the perfect acoustic and aesthetic solutions for any interior design. They look forward to meeting you on Stand 78 at the Architect at Work Show to discuss how they can help turn your design into a reality.